The family of a Burmese policeman who told a court how police planted secret documents on Reuters reporters to “entrap” them was evicted from police housing in the capital Naypyidaw on Saturday, less than 24 hours after his testimony, family members said. The family has temporarily taken shelter in an apartment belonging to the policeman’s brother, the brother said. In widely-covered testimony on Friday, Police Captain Moe Yan Naing gave the details of the hours leading up to the Dec. 12 arrest of Reuters reporters Wa Lone, 32, and Kyaw Soe Oo, 28, and said the police had arranged a “set up”. A district court in Yangon has been holding hearings since January to decide whether the two should be charged under the colonial-era Official Secrets Act, which carries a maximum penalty of 14 years in prison. At the time of their arrest, the reporters had been working on a Reuters investigation into the killing of 10 Rohingya Muslim men and boys in a village in western Burma’s Rakhine State. The killings happened during an army crackdown that United Nations agencies say has sent nearly 700,000 Rohingya fleeing to Bangladesh. “I got a phone call at 7 a.m. A police second lieutenant who I’m familiar with said, ‘sister you need to move out from the quarters,'” Moe Yan Naing’s unemployed wife Tu Tu, 42, told local media group the Irrawaddy. “He said ‘you need to move out immediately.’ I said ‘is that so?’ and I become speechless. I didn’t know what to say,” she said in a video clip carried on the Irrawaddy’s Facebook page. “We are staff family. We don’t have a house yet. Where am I supposed to move with all these items?”. Moe Yan Naing had told the court he had been under arrest since the night of Dec. 12, accused of violating the Police Disciplinary Act. Tu Tu said in the video clip she had not had any contact with her husband since he was arrested and appealed to Burmese President Win Myint for help. Reuters was unable to reach Tu Tu for comment. Tu Tu posted photographs on Facebook showing bundles, boxes, bags and a mattress stacked up in front of a building. Other pictures showed men removing chairs and beds from her flat and loading them onto a truck. One of the posts was shared more than 16,000 times and gathered a similar number of reactions. Moe Yan Naing’s brother Ye Wint Naing confirmed the authenticity of Tu Tu’s Facebook posts in a phone interview with Reuters. Police spokesman Myo Thu Soe did not respond to several Reuters attempts to reach him for comment on Saturday. He told Reuters on Friday about Moe Yan Naing’s court testimony that it “cannot be assumed as true – we still need to listen to the remaining witnesses so the situation will become clearer”. Myanmar government spokesman Zaw Htay also could not be reached for comment on Saturday and did not respond to a text message seeking comment. Tin Myint, the permanent secretary of the home affairs ministry which oversees the police, could not be reached for comment, and neither could his two deputies. “They are at my home in Naypyidaw now,” Ye Wint Naing, the brother of Moe Yan Naing, said of the policeman’s family. He said the couple has two daughters and one son. “I am still helping move her items now,” he said. Moe Yan Naing told the court on Friday his family lived in housing for police families in Naypyidaw. 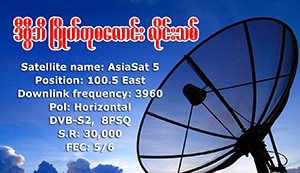 Protection Committee for Myanmar Journalists, a Burmese free speech group, issued an appeal to gather funds for Moe Yan Naing’s family and gathered about 1.5 million kyat ($1,127), while Naypyidaw-based journalists gathered another 900,000 kyat – altogether about $1,800 – journalists involved told Reuters. The journalists said the family has rejected the funds because it wanted to “protect the dignity” of Moe Yan Naing and not accept charity. Thar Lon Zaung Htet from PCMJ told Reuters the committee has now stopped gathering money and will try to meet the family to hand over the funds. and implemented by ASSK ! and reporting! Keep up the amazing works guys I’ve included you guys to blogroll. One thing I’d prefer to say is that often before obtaining more laptop or computer memory, look at the machine within which it would be installed. In case the machine is definitely running Windows XP, for instance, the actual memory threshold is 3.25GB. Adding greater than this would purely constitute some sort of waste. Make sure one’s motherboard can handle an upgrade quantity, as well. Good blog post. Thanks for the ideas you have contributed here. Something else I would like to talk about is that laptop memory needs generally increase along with other improvements in the engineering. For instance, when new generations of cpus are introduced to the market, there’s usually a similar increase in the shape calls for of all laptop or computer memory and also hard drive space. This is because the program operated through these processors will inevitably increase in power to use the new technologies. You need to be a paft of a contest for one of the most useful websites online. I am goiing to highly recommend this web site! in Explorer but looks great iin Chrome. Do you have any tips to help fixx this issue? Thanks for your concepts. One thing I’ve noticed is the fact banks plus financial institutions really know the spending behaviors of consumers while also understand that the majority of people max out and about their own credit cards around the getaways. They prudently take advantage of this real fact and begin flooding your own inbox plus snail-mail box using hundreds of 0 APR card offers shortly after the holiday season comes to an end. Knowing that if you’re like 98% of American public, you’ll soar at the possiblity to consolidate personal credit card debt and shift balances for 0 annual percentage rates credit cards. I every time spent my half ann hour to read this web site’s content daily along witth a cup of coffee. articles relating to this article.I wish to read even more issuues about it! hi!,I like your writing very a lot! share we keep in touch extra approximately your post on AOL? I require a specialist on this house to unravel my problem. May be that is you! Looking forward to look you. Utterly indited content material, thanks for entropy. “The earth was made round so we would not see too far down the road.” by Karen Blixen. I simply want to say I am new to weblog and really loved this web site. Most likely I’m want to bookmark your blog . You amazingly have amazing well written articles. With thanks for sharing your web-site. Hi there, You have conducted a tremendous career. I will unquestionably yahoo the idea along with my highly recommend so that you can my buddies.. video youtube terbaik I’m sure they are took advantage of this page. I simply want to say I am just newbie to blogging and actually liked you’re web-site. Most likely I’m want to bookmark your website . You amazingly come with fabulous well written articles. Kudos for sharing with us your web site. My cousin advised I would personally maybe like that site. They had been solely perfect. This particular article really manufactured this day time. You can’t think about just simply how much time frame I had put together wasted due to this details! Many thanks! We do contemplate every one of the concepts you’ve presented inside your post. They can be genuinely convincing and may certainly do the job. However, the particular posts are incredibly shorter to start. Might you please lengthen them slightly by future moment? Wanted publish. I needed to put you one little word to thank you over again with the magnificent thoughts you have shared in this article. This has been so unbelievably open-handed with people like you in giving openly what exactly a few people would’ve sold for an e-book to make some dough on their own, particularly now that you might well have tried it if you wanted. These advice as well served like the great way to realize that many people have the same dream like my very own to find out a whole lot more with reference to this issue. I am certain there are numerous more pleasant situations up front for those who look over your site. whoah this weblog is great i really like studying your posts. Stay up the great work! You already know, many individuals are looking round for this information, you could help them greatly. I love the info on your web site. Many thanks. Hello the spouse! I want to claim that this article is awesome, good prepared you need to include approximately very important infos. I will glimpse excess posts like this . Hello the spouse! I want to claim that this article is awesome, good prepared you need to include approximately very important infos. I will glimpse excess posts like this . You’ve got remarkable thing here. hey there and thank you for your information – I have definitely picked up anything new from right here. I did however expertise several technical issues using this site, since I experienced to reload the web site a lot of times previous to I could get it to load correctly. I had been wondering if your hosting is OK? Not that I am complaining, but sluggish loading instances times will very frequently affect your placement in google and can damage your quality score if advertising and marketing with Adwords. Well I am adding this RSS to my email and could look out for a lot more of your respective interesting content. Make sure you update this again very soon.. Superb blog! Do you have any helpful hints for aspiring writers? I’m planning to start my own blog soon but I’m a little lost on everything. Would you recommend starting with a free platform like WordPress or go for a paid option? There are so many choices out there that I’m totally overwhelmed .. Any suggestions? Kudos! I benefit from perusing your site. Regards! Thanks a lot for sharing this with all folks you really realize what you are talking approximately! Bookmarked. Kindly also visit my web site =). We may have a link trade agreement between us! Thank you! This is definitely an wonderful online site! Extremely user friendly website. Tremendous details offered on few clicks on. What i do not realize is in truth how you are no longer really a lot more well-favored than you may be right now. You’re so intelligent. You understand thus considerably when it comes to this subject, made me individually imagine it from so many numerous angles. Its like women and men don’t seem to be fascinated until it’s one thing to do with Lady gaga! Your own stuffs excellent. Always handle it up! Hello, i believe that i noticed you visited my site thus i got here to “go back the desire”.I am attempting to find issues to enhance my website!I guess its good enough to make use of some of your concepts!! Hi, Neat post. There’s an issue together with your web site in web explorer, could check this¡K IE still is the market chief and a good element of people will omit your fantastic writing because of this problem. Just wish to say your article is as surprising. The clearness in your post is just nice and i could assume you’re an expert on this subject. Well with your permission let me to grab your RSS feed to keep updated with forthcoming post. Thanks a million and please carry on the enjoyable work. Exceptional post however I was wondering if you could write a litte more on this subject? I’d be very thankful if you could elaborate a little bit further. Cheers! My only slight problem is that the edges can be a little bit “stronger”. If you obtain extremely near the edge, there’s a possibility you might spin off. Great web site. Lots of useful info here. I’m sending it to several pals ans also sharing in delicious. And naturally, thank you to your effort! Great amazing things here. I¡¦m very satisfied to look your post. Thank you so much and i’m having a look forward to contact you. Will you kindly drop me a e-mail? My husband and i got absolutely joyous that Edward could deal with his investigation because of the ideas he gained through the web pages. It’s not at all simplistic to just continually be giving away strategies which often many people have been making money from. And now we grasp we have the writer to be grateful to for that. The most important explanations you made, the simple site navigation, the friendships you will help promote – it’s many powerful, and it’s assisting our son and the family reason why this theme is fun, and that is quite serious. Thank you for the whole thing! hey there and thank you for your info – I have definitely picked up anything new from right here. I did however expertise a few technical points using this web site, as I experienced to reload the site a lot of times previous to I could get it to load properly. I had been wondering if your hosting is OK? Not that I am complaining, but sluggish loading instances times will sometimes affect your placement in google and could damage your quality score if advertising and marketing with Adwords. Anyway I’m adding this RSS to my e-mail and can look out for much more of your respective intriguing content. Make sure you update this again soon.. I am really enjoying the theme/design of your web site. Do you ever run into any browser compatibility issues? A few of my blog visitors have complained about my website not working correctly in Explorer but looks great in Safari. Do you have any advice to help fix this issue? Greetings from Carolina! I’m bored to death at work so I decided to browse your site on my iphone during lunch break. I love the knowledge you present here and can’t wait to take a look when I get home. I’m shocked at how quick your blog loaded on my cell phone .. I’m not even using WIFI, just 3G .. Anyways, great site! An impressive share, I just given this onto a colleague who was doing a bit analysis on this. And he in actual fact purchased me breakfast because I discovered it for him.. smile. So let me reword that: Thnx for the treat! But yeah Thnkx for spending the time to debate this, I feel strongly about it and love reading more on this topic. If doable, as you develop into expertise, would you thoughts updating your blog with more details? It’s highly helpful for me. Huge thumb up for this blog put up! It¡¦s in reality a nice and helpful piece of information. I am satisfied that you just shared this helpful info with us. Please stay us informed like this. Thanks for sharing. Hi, i believe that i saw you visited my weblog so i got here to “go back the desire”.I am attempting to to find issues to enhance my web site!I guess its good enough to make use of a few of your concepts!! I was just searching for this information for a while. After 6 hours of continuous Googleing, finally I got it in your web site. I wonder what’s the lack of Google strategy that don’t rank this kind of informative sites in top of the list. Normally the top sites are full of garbage. Simply wish to say your article is as astonishing. The clarity in your post is just nice and i can assume you are an expert on this subject. Fine with your permission let me to grab your RSS feed to keep up to date with forthcoming post. Thanks a million and please carry on the gratifying work. you could have an amazing blog right here! would you wish to make some invite posts on my weblog? brfqdugjme,Definitely believe that which you said. Your favourite justification appeared to be on the net the simplest thing to remember of. ajavcq,This website truly has alll of the information and facts I wanted about this subject and didn?t know who to ask. Whats Happening i’m new to this, I stumbled upon this I’ve discovered It absolutely helpful and it has helped me out loads. I am hoping to contribute & aid different customers like its helped me. Good job. dcjmax,Wonderful one thank you so much ! jrvbcheyj,This website truly has alll of the information and facts I wanted about this subject and didn?t know who to ask. rdxxms,Definitely believe that which you said. Your favourite justification appeared to be on the net the simplest thing to remember of. zhaljz,Wonderful one thank you so much ! kbicbpoiuxb,Hi there, just wanted to say, I liked this article. It was helpful. Keep on posting! Hiya very nice website!! Guy .. Excellent .. Wonderful .. I will bookmark your web site and take the feeds also…I’m satisfied to seek out so many useful info here within the post, we want develop extra techniques on this regard, thanks for sharing. . . . . .
Hey there would you mind sharing which blog platform you’re using? I’m planning to start my own blog soon but I’m having a difficult time choosing between BlogEngine/Wordpress/B2evolution and Drupal. The reason I ask is because your design seems different then most blogs and I’m looking for something unique. P.S My apologies for getting off-topic but I had to ask! Please let me know if you’re looking for a article author for your weblog. You have some really good posts and I think I would be a good asset. If you ever want to take some of the load off, I’d really like to write some articles for your blog in exchange for a link back to mine. Please shoot me an email if interested. Thanks! I cling on to listening to the news update talk about getting boundless online grant applications so I have been looking around for the top site to get one. Could you advise me please, where could i find some? Very interesting details you have observed, thanks for putting up. “Without courage, wisdom bears no fruit.” by Baltasar Gracian.